It may sound simple, but when it comes to Xamarin, all the problems starts to emerge. 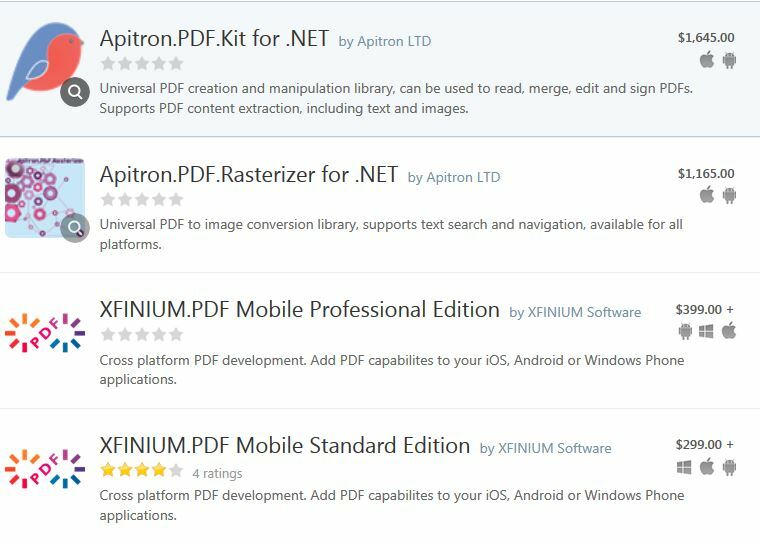 So basically Xamarin does not provide any special class for PDF generation. I found some Free open source libraries for Android, so I thought of Java Bind it, but when i tried to Java Bind them, but I ended up getting lots of errors that i cannot fix it unless I am the developer of that library. So I dropped that Idea as well. System.IO.FileNotFoundException: Could not load assembly 'System.Drawing, Version=2.0.0.0, Culture=neutral, PublicKeyToken=b03f5f7f11d50a3a'. Perhaps it doesn't exist in the Mono for Android profile? so It says there is an assembly called System.Drawing dll is missing. I tried to manually add it but it did not work. When I researched on it, it said that Mono for Android(Xamarin Android Framework) does not include that ‘dll’ I dont know how come a popular ‘dll’ got missed out of their framework. 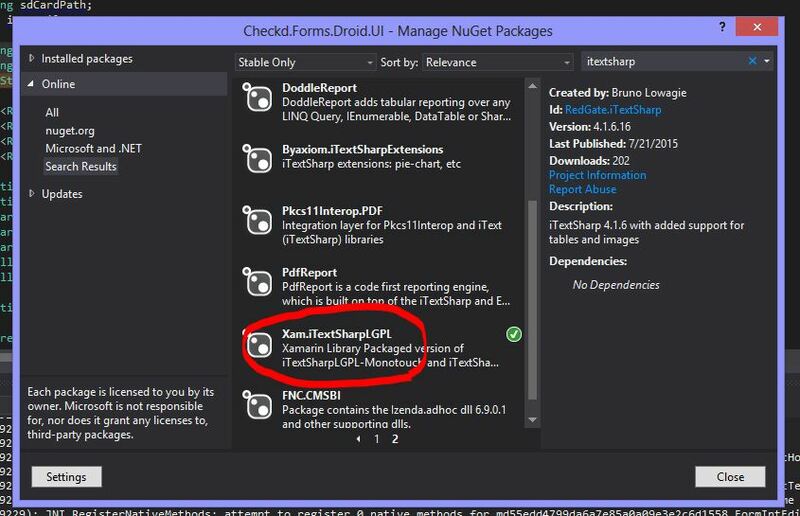 So with all of the frustration I had, I did not give up on finding a solution till i came across problem where a guy has used ‘iTextSharp’ in Xamarin Android and its working. But he did not mention or reply my question in that thread. So I thought of giving a final look at the Nuget Manager. This time just like the previous time I searched for ‘iTextSharp’ but this time I went through each and every result the list showed. And this worked like a Magic. And this library has more functionality than the default PDFDocument. This library is based on iTextSharp 4.1.6 which means licensed under LGPL. Free to use and it is an Open source library. // Create an instance of the document class which represents the PDF document itself. // Create an instance to the PDF file by creating an instance of the PDF Writer class, using the document and the filestrem in the constructor. Before we can write to the document, we need to open it. Hope this article will help people like me in future…!